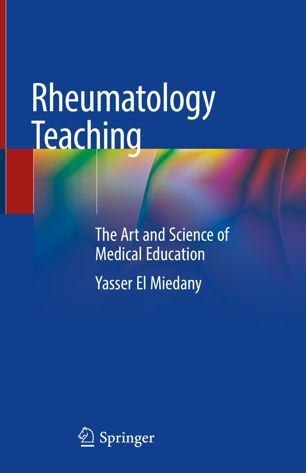 This book provides a comprehensive, state-of-the art overview of medical teaching methodologies with a particular focus on rheumatology. It discusses why teaching medicine requires a review, explains barriers to learning, outlines fresh teaching methods, and includes student-centered learning activities. It introduces novice medical teachers as well as more experienced educators to the exciting new models of medical education, innovative teaching approaches, and challenges they may face whether working in undergraduate, post-graduate, or continuous medical education. Since “Great teachers are made, not born”, this book presents the interactive pattern of the art and science of teaching and serves as a guide to becoming a highly effective medical educator. 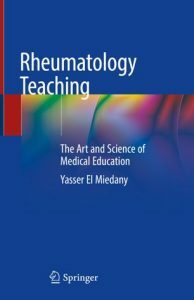 Rheumatology Teaching: The Art and Science of Medical Education is an essential text for physicians and related professionals who have special interest in medical education and particularly musculoskeletal teaching as well as instructors in nursing, physiotherapy, and physician assistant programs.